Felix Hernandez net worth and salary: Felix Hernandez is a Venezuelan professional baseball player who has a net worth of $90 million. Felix Hernandez signed a $78 million, 5 year contract in 2010. He then signed a seven year $175 million extension that goes through 2019. 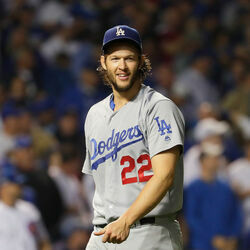 Felix is currently is paid an annual salary of $22 million. That makes him one of the highest paid baseball players in the league. between June 2017 and June 2018, Felix earned $27 million between salary and endorsements. Felix Hernandez has earned his net worth as the starting pitcher for the Seattle Mariners. 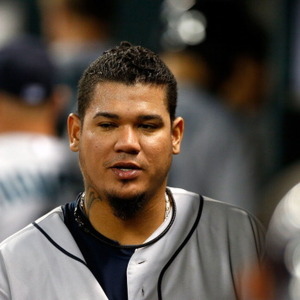 He was born in Valencia, Venezuela on April 8, 1986 Felix is nicknamed "King Felix". Hernandez is known for throwing a fastball has been clocked as high as 100 mph. At 14 Felix was pitching a tournament near Maracaibo, Venezuela when he caught the attention a part-time Mariners scout Luis Fuenmayor. The Mariners signed Hernandez at the age of 16; he made his debut on August 4, 2005. Hernadez has been an out spoken member for the Seattle King County Humane Society, where he has himself adopted two puppies. He is also the Seattle Mariners Ambassador for the Pepsi Refresh Project which raises money for Washington State Coalition against Domestic Violence. Felix represented his homeland of Venezuela in the 2009 World Baseball Classic, and then in 2011 he was selected to the American League All Star Team for the second time. 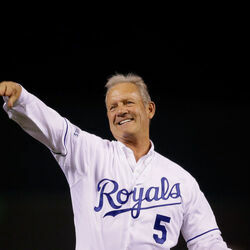 On August 31, 2011, Hernández struck out nine batters, giving him 204 strikeouts to that point in the season. 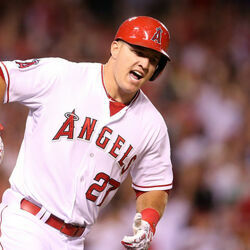 Which MLB Players Are Making The Most Money This Year?